auditory and non-auditory effects and cause the lack of concentration and disability of learning and communication. The Faculty of Engineering was chosen to conduct the questionnaire because the students have both theoretical and practical courses and they spend one-third of their day in the laboratories, so it is expected they exposure to noise more than other faculties’ students A questionnaire was conducted to understand the effect of noise on student behavior and whether they could classify the sounds that they heard as noise and determine the noise sources (indoor, outdoor) and the noisiest places (classroom, laboratory, and campus). 438 students participated in this questionnaire from all stages, and they covered eight engineering departments in the Faculty of Engineering, Mustansiriyah University. A statistical analysis of the questionnaire found that 39.5%, 46%, 32% and 49% of students suffered from noise in classrooms, laboratories, open spaces and closed spaces (campus), respectively. In the actual situation, the effects that students experience can be arranged in the following descending order: feeling discomfort, hearing difficulty, raising the voice when speaking, lack of concentration, headache, tinnitus and nausea. Using a sound and vibration meter with the analyzer, the noise levels in dBA were measured in the noisiest places that the students mentioned. The noise levels exceed the standard limitation that organizations and agencies such as the WHO determined. Noise effects --- Questionnaire --- Faculty of Engineering --- Students. 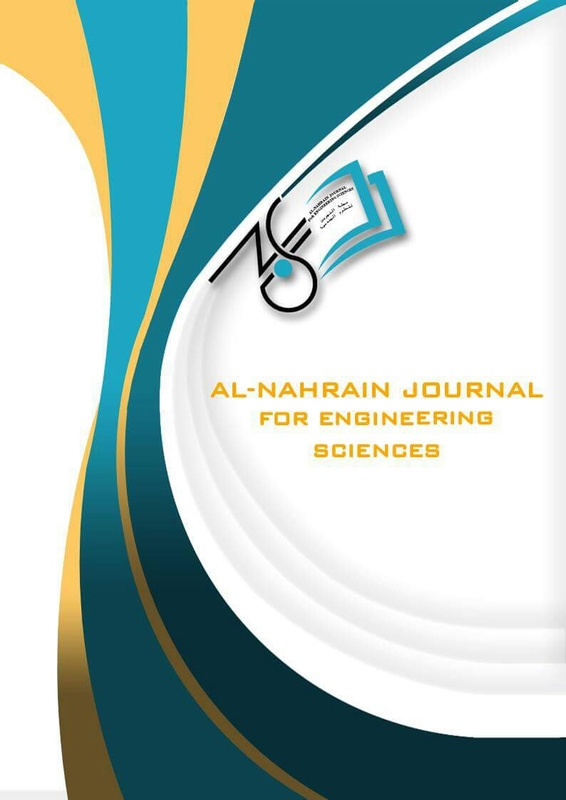 In this research the behavior of cylindrical shells under axial load have been studied. The experimental program is included two groups: the first consists of nine cylinders; each has a diameter of 150 mm, while the height varies from 100 to 500 mm and thickness of 1.5 mm, test results show that the optimum height to achieve the maximum strength is 300 mm with L/D equal to 2. The second group consists of two cylinders with diameter of 150 mm and height of 300 and 500 mm strengthened with stiffeners plate welding from inside at four quarters with thickness of 1.5 mm and width 20 mm fabricated from the same metal of the cylinders. After testing these two cylinders were gain an increase in the strength reached to 42% for 300 mm cylinder and 26.4% for 500 mm cylinder. The failure modes for these two groups are: the buckling at bottom like “elephant’s foot” for cylinders height from 100 to 300 mm and “inelastic buckling” for cylinders height from 350 to 500 mm for the first group, and the ” inelastic buckling” for the second group. Cylinders --- L/D --- Buckling --- Elephant’s foot --- Inelastic buckling. Due to their very good mechanical properties of composite materials which led to a huge increase in its application in a lot of fields.Epoxy/ PS(polysulfide) composite materials behavior in fatigue was reported. different weight fraction of PS (2%,4% and6%) were studied .Surface roughness properties of the blended composites were found for all weight fraction of PS and their fatigue properties are studied .Fatigue test was carried with rotating bending method. The loading in the test was sinusoidal wave type. The loading wave ratio is R = -1 and the frequency of loading is applied to avoid temperature rise with a frequency equal to 5Hz. Fatigue strength ,fatigue life and fatigue limit of the tested composites from standard curves are calculated. The addition of PS resulted in an enhancement in the fatigue values and cause the surface roughness to	decrease at a considerable rate, the blend hardness is reduced considering shore A test. Hydraulic structures can be accepted as the key components in improving aeration efficiency because of the strong turbulent mixing associated with substantial air bubble entrainment at these structures. Different hydraulic structures have been designed to enhance aeration such as stepped cascades. A laboratory model of stepped cascade weir with five different shapes of end sill (normal, triangle, rectangle1, rectangle2 and rectangle3) have been installed at Al- Mustansiriya University, College of Engineering to evaluate treatment system and reduced pollutants in marginal water for different flow rates (35,60 and 80 L/min). Results indicate that high removal efficiency of all pollutants parameter (Cu, Cr, Mo, Br, Fe, Mn, Zn, PO4, Cl-, ClO2, Hardness as CaCO NH NO2, Toxic matter) is for rectangle1 shape at Q=60L/min. High aeration efficiency is 45.7% for rectangle1 shape at Q=80L/min. High removal efficiency for BOD 5 and COD are 48% and 47% respectively for rectangle 1 at Q=80 L/min. Stepped cascade --- marginal water --- hydraulic structures. Square patch antennas (SPA) are widely used today's in wireless communication systems, mainly with popular frequency of 1.575 GHz. Wireless devices are the main source of propagation and radiation for the Electromagnetic (EM) rays. The waves penetrate tissues of the human beings and cause health danger. A fractal Sausage Minkowski square patch antenna is proposed, designed and simulated. A Fractal antenna is designed and simulated at 1.575 GHz for GPS application using CST MW studio 2014. Specific Absorption Rate (SAR) is the term which measures the exposure of human to electromagnetic waves radiation for communication antenna. SAR values are calculated over tissues mass with respect to the IEEE and (ICNIRP) standards for head safety. The SPA antenna presents the smallest SAR levels in adult head tissues at 2nd iteration Sausage Minkowski fractal antenna. The results show that the SAR levels for the three different fractal iteration are the highest in (ICNIRP) standard as compared to (IEEE) standard. Square patch antenna (SPA) --- Specific Absorption Rate (SAR) --- head tissues --- Sausage Minkowski and fractal. One of the unique properties of laser heating applications is its powerful ability for precise pouring of energy on the needed regions in heat treatment applications. The rapid rise in temperature at the irradiated region produces a high temperature gradient, which contributes in phase metallurgical changes, inside the volume of the irradiated material. This article presents a comprehensive numerical work for a model based on experimentally laser heated AISI 1110 steel samples. The numerical investigation is based on the finite element method (FEM) taking in consideration the temperature dependent material properties to predict the temperature distribution within the irradiated material volume. The finite element analysis (FEA) was carried out using the APDL scripting language (ANSYS Parametric Design Language) that is provided by the commercial code ANSYS. Infrared (IR) thermography technique was used to explore the workpiece surface and to validate the obtained results. The work takes into account the effect of different speeds of the laser beam and pulses overlap on the temperature pattern of the material surface and depth. Laser heating --- Pulsed laser --- FEA --- Infrared thermography. The adsorption characteristics of Nickel (II) onto Iraqi Bentonite clay from aqueous solution have been investigated with respect to changes in pH of solution, adsorbent dosage, contact time and temperature of the solution. The maximum removal efficiency of Nickel (II) ions is 96% at pH=6.5 and exposure to 100 g/L adsorbent. For the adsorption of Nickel (II) ions, the Freundlich isotherm model fitted the equilibrium data better than the Langmuir isotherm model. Experimental data are also evaluated in terms of kinetic characteristics of adsorption and it was found that the adsorption process for Ni+2 ions follows well pseudo-second-order kinetics. Thermodynamic functions, the change of free energy (ΔG°), enthalpy (ΔH°) and entropy (ΔS°) of adsorption are also calculated for Nickel (II) ions. The results show that the adsorption of the Nickel (II) ions on Iraqi Bentonite is feasible and exothermic at (20-50)	°C. Adsorption --- Nickel (II) --- Iraqi	bentonite clay --- Kinetics. Friction Stir Welding is one of the most practical welding process at the solid state. Friction Stir Processing is used to enhance the microstructure of FSW welded zone. The present study investigates the effect of welding parameters on the tensile properties of FSW and FSP joining 3 mm AA 5083 - H111 aluminum alloy by means of stress – strain curve with a uniaxial tensile test and by comparing the efficiency between FSW , FSP and base metal .The experiments were conducted with 1000,1500 and 2000 rpm rotation speeds ,and 20,40 and 60 mm/min travel speed. The best result of the welding joint was shown at the 20 mm/min feed speed and 1500 rpm rotational speed for FSW, and 40 mm/min feed speed and 1500 rpm rotation speed for FSP. The efficiency of ultimate tensile strength reaches to 92% for FSW and 94% for FSP. Friction Stir Welding --- Friction stir processing --- Mechanical Properties --- AA5083 - H111. Transfer function characteristics of a DC machine are used in this paper to estimate speed and torque in four quadrant operation modes. Estimation speed and torque control based on a DC machine transfer function is implemented by measuring the DC chopper instantaneous average output voltage and current. MATLABSIMULINK is used to implement the DC drive circuit in the forward and reverse motoring and regenerative modes, respectively. The DC drive system is simulated at different speed and load torque values in steady state and dynamic operating conditions. Simulation results demonstrate success of the sensorless and PI controller systems, which gives satisfactory agreements between the estimated, actual and reference speed and torque values. Sensorless speed and torque control --- DC machine --- transfer function characteristics --- four quadrant operation modes --- chopper. In this work, model fuel (Thiophene in hexane) was treated for sulfur removal by adsorptive desulfurization method using modified bentonite with sodium (Na-B) adsorbent. Batch and continuous mode were used in this study. Several operating parameters such as initial thiophene concentration of 250 to 2000 mg/L , adsorbent dose 0.1 to 0.8g/ml were studied for sulfur removal %. Also a comparison between raw and modified bentonite was performed in this study. In continuous mode, a packed bed of Na-B adsorbent column was used at constant initial thiophene concentration and liquid hourly space velocity (LHSV) to study the breakthrough curve of thiophene. The results showed that Na-B adsorbent was better than raw bentonite in removal of sulfur components. The removal percentages was 67,75,87,and 91% for 500 mg/L initial thiophene concentration using adsorbent dose o.1, 0.2, 0.4 and 0.8g/ml respectively , and 87.75, 57, and 53% for adsorbent dose of 0.2 g/ml using initial thiophene concentration of 250, 500. 1000, and 2000 mg/L respectively. It was concluded that when increase the dose of adsorbent, the removal of sulfur increase , and when increase the initial concentration	the removal decrease. Bentonite; Clay; adsorption --- desulfurization; modified bentonite. In this work, nine types of laminated composite materials used for experimental study to investigate the tensile and fatigue properties of partial foot prosthetic socket which fabricated by using vacuum pressure system . The composite material matrix were Lamination 80:20and reinforced with nine types of laminations (perlon, n-glass, fiber glass and carbon) by variation of thickness according to lamination. Results show that the mechanical properties were improved by increasing the two layers of carbon fiber, fiber glass and n-glass layers instead of zero layer with six layers of perlon lead to the increased in(yield strength σy, ultimate tensile strength σult and modules of elasticity E with (71% ,76% and 58%) respectively for carbon fiber, (20% , 19% and 40%) for fiber glass and ( 22% , 5.5% and 29. ) for n-glass. Results show that (3perlon+2carbon fiber+3perlon) gives the best value of mechanical properties and has higher Endurance limit stresses (σe) which increase lifetime for the patient . It is recommend to use this type of lamination for the layup partial foot prosthetic socket because it meets the demand lamination layers for acceptable mechanical properties and its minimizing the cost of socket lamination to suitable costing value. Partial Foot Socket --- Tensile --- Fatigue --- Laminated Composites. Particles filled polymer composites started to be essential because of their wide applications in addition to reducing the cost of polymer, which is a main problem. The aim of this work is studying the insulation of particulate composites resulting from the addition of filler (glass or porcelain) waste powder to reinforced epoxy matrix. Samples with and without filler were exposed to some tests to decide the influence of the filler contents on the characteristics of epoxy. Epoxy is synthesized with filler particles having (90 micron) particle sizes as reinforcement. Composites of epoxy with varying percentage (0 to 40 weights %) of filler were prepared by using hand lay-up method. The nondestructive tests consist of thermal conductivity; ultrasonic test and water absorption test have been investigated. The composite showed an improvement in physical properties with the addition of filler according to their percentages. The result show the addition of the filler in all proportions to the epoxy increased the density of the composite, leading to the ultrasonic pulses velocity ranges between 2100 m/s and 2800 m/s. Increase glass and porcelain percentage cause increase in density which increases the acoustic impedance. While the thermal conductivity decrease with glass powder percentages in the composite increase, unlike the increase in porcelain percentage which causes an increase in thermal conductivity. The 40% percentage of glass in the epoxy had higher effect on reduce the thermal conductivity. As well as from the results the epoxy reinforced by porcelain powder would have lower water absorption than epoxy reinforced by glass powder. WG (waste glass) --- porcelain --- epoxy risen --- physical properties. In this paper, an Adaptive Sliding Mode Controller (ASMC) is designed and applied for a magnetic levitation system (Maglev) where a steel ball is desired to be stabilized at a desired position with existence of uncertainty in system model. Additionally, a sliding mode differentiator (SMD) is used for estimating the ball velocity since it’s needed for the controller to work properly. The designed controller and differentiator are applied practically to an experimental laboratory size magnetic levitation system and the results were plotted to show the behavior of the system under the effect of the designed controller. The experimental results reveal clearly the effectiveness and ability of the suggested controller in forcing the steel ball to follow various desired position. Sliding mode differentiator --- Adaptive sliding mode control --- Magnetic levitation system. This study implements the soft computing techniques such as Artificial Neural Network (ANN) and an adaptive Neuro-Fuzzy (ANFIS) approach. Thus to model the rutting prediction with the aid of experimental uniaxial creep test results for asphalt mixtures. Marshall samples, having Maximum Nominal Size of 12.5 mm, have been selected from previous studies. These samples have been prepared and tested under different conditions. They were also subjected to different loading stress (0.034, 0.069, 0.103) MPa, and tested at various temperature (10, 20, 40.	and 55) °C The modeling analysis revealed that both approaches are powerful tools for modeling creep behavior of pavement mixture in terms of Root Mean Square Error and Correlation Coefficient. The best results are obtained with the ANFIS model. Asphalt Mixture --- Creep Test --- Neuro-Fuzzy Set --- ANN --- ANFIS. The daily peak load forecasting for the next day is the basic operation of generation scheduling. The approach of using ANN methodology alone is limited which has generated interest to explore hybrid system. In this paper a search of genetic programming to a short term load forecasting is presented. A genetic architecture with the fitness normalization has been used to find as optimum data peak load of Baghdad city. The optimize data applied to the ANN to be trained and tested to estimate the daily peak load of Baghdad city. Different cases for load forecasting are considered with the aid of MATLAB 7 package to get the estimation of the next day. So an improvement method of genetic optimization is proposed to get a better solution for the load estimation rather than artificial neural network. This paper provides a theoretical framework for analysis of consensus algorithm for multi- agent networked systems considering the role of directed information flow. Improvement of the performance of the implemented consensus algorithm has been achieved by using Particle Swarm Optimization (PSO). Concepts of information consensus in networks and methods of convergence are applied as well. Our analysis framework is based on tools algebraic Graph Theory (GT). Simulation of multi-agent system and the performance of a consensus algorithm have been discussed. Acceleration the network while approaching the required goal has been accomplished and elimination of undesired swing that appears during the acceleration was proved. Consensus algorithm --- Graph theory --- Multi-agent network system --- Particle swarm optimization. Lightweight foamed concrete (LWFC) is characterized as a light in self-weight, self- compacting, self-levelling, and thermal and sound isolation. But it has low strength and low ductility which leads that the application of (LWFC) in the building construction is limited. The flowability of the fresh mix of (LWFC) was evaluated by flow test. While the hardened properties of (LWFC) include, compressive 6 strength, tensile	6 splitting	6 strength, flexural 6 strength, and 6modulus of 6 elasticity. This 6 study	6 focuses	6	on the effect of the adding of silica fume and steel fibre on the mechanical properties of (LWFC). Silica fume was added as (5%) and (10%) by the weight of cement and steel fiber (0.2%) and (0.4%) of the total volume of the mix. The density of lightweight foamed concrete was 1800±50kg/	�3, and cement to sand ratio was (1:1) with water cement ratio (0.28). The results indicated that adding of silica fume	6 and steel 6 fiber 6 have great effect on the mechanical properties and improve them. The addition (10%) of silica fume and (0.4%) by volume of steel fiber was the best ratio that improves the mechanical properties of the lightweight foamed concrete (LWFC). The pozzolanic index of the (5%) and (10%) silica fume was (21.9%) and (74.76%), respectively. lightweight --- foamed concrete --- mechanical properties --- steel fiber --- silica fume.